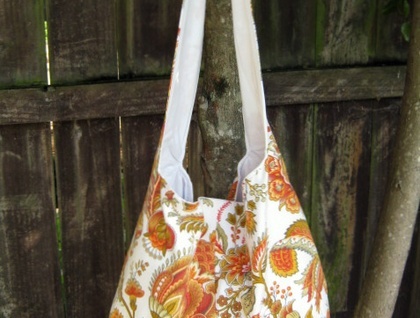 This is a large slouch bag made from repurposed 60s French designer curtains - the area of the bag is approx 40cm wide and 35cm high with the nice wide strap being approx 45cm from shoulder to top of bag. 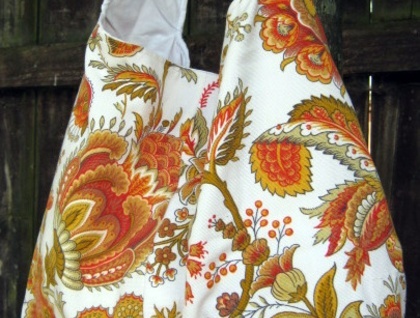 It has the flaws that well kept 50 year old curtains have and it adds to the character of the bag. This is a one off design.